A great gift idea for when you're not sure what to get! 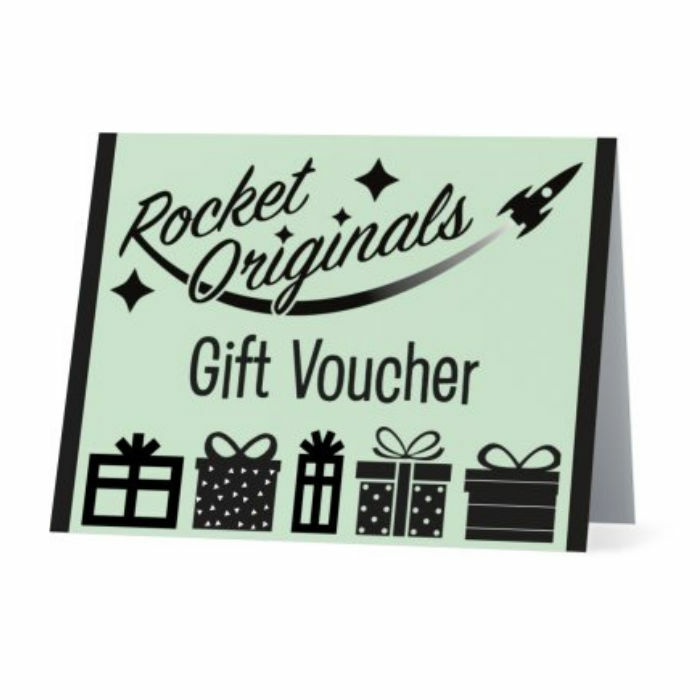 The vouchers are sent in a gift card, in which you can write your own message. PLUS, THE GIFT CARDS AND POSTAGE ARE FREE OF CHARGE! The vouchers are valid for 12 months from date of purchase, to give plenty of time in which to spend them. They cannot be exchanged for cash. To use online, there is a code/number on the voucher, which can be entered at check-out to enable the amount on the card to be deducted. Alternatively, the voucher can be presented to us when trading at an event. Please see our 'Events' section for where we'll be trading with our 'pop up shop' throughout the year. We do our best to dispatch orders within one working day after they have been placed (working days are Monday to Friday only). There may be a delay if an order is placed while we are working away at an event, in which case orders are dispatched after we return. Please check our ‘Events’ section for details and dates of the events we will be trading at. Please Note: If you need your order in less than 1 week we do not recommend the economy delivery option as we cannot guarantee that you will get it in time. Confirmation that your order has been dispatched will be sent to the email provided with the order. The customer is responsible for the correct delivery address for their order and this must be provided on the order form at our checkout. Please note that we do not use Paypal details when processing orders and this includes addresses. If your order has not been received within the expected time please contact us and we will help to locate it. However, if an order is returned to us after a failed delivery, (such as the customer giving an incorrect address or not collecting the parcel from the post office), the buyer is responsible for the additional postage costs to resend the order, including any customs charges that may be incurred.